The Great Smoky Mountains National Park is the most visited of all the United States national parks, and with good reason. The Great Smoky Mountains are breathtakingly beautiful and, with so many nearby attractions, there is guaranteed to be something fun for everyone to do. In addition, the Great Smoky Mountains are centrally located along the border of Tennessee and North Carolina, making them within a days drive from pretty much anywhere within the continental United States. The Great Smoky Mountains has a variety of attractions to be enjoyed by families. Many natural and spectacular attractions can be found within the park. Nearby towns also offer a wide variety of attractions, including unique museums, fine dining, fantastic shopping, and fun family entertainment. One of the most impressive natural attractions receiving a little human help in the park is Clingmans Dome. This structure is built at the parks highest point, which is 6,643 feet high. Visitors who climb Clingmans Dome are treated to a 360 degree panoramic view of the surrounding mountains. The park is home to a multitude of plants and animals, making wildlife viewing popular with tourists and local alike. The park contains a wide variety of elevations and an abundance of rainfall. These factors combined make it possible for the park to support so many different habitats that it is home to 10,000 different species of plants and animals. Some scientists believe there may be an additional 90,000 species that are left to be documented. Among the animals living in the park are black bears, with a population of at least 1,800. 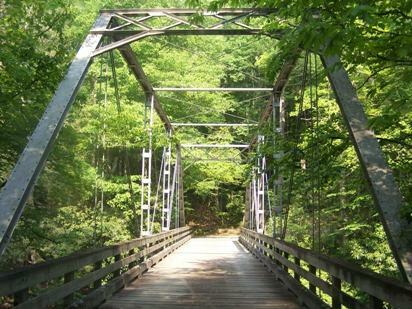 Cades Cove is a major historical and natural attraction within the park. This 11 mile paved loop contains several trail heads leading to historical attractions from early mountain settlers, such as homes, churches, and barns. Some of these can be accessed by simply pulling off to the side of the road. Wildlife is also commonly spotted along Cades Cove, including black bears, dear, raccoons, and rabbits. The entrance to Cades Cove is found in Townsend, TN.There are many other areas of the park offering views of historic buildings, including rest areas along Hwy 73, which is a major thoroughfare within the park, and Roaring Fork, which is located in Gatlinburg, TN. In addition to the historic buildings and structures, these areas also offer unsurpassed natural beauty and a variety of trail heads to explore. The Great Smoky Mountains park is well known for its many waterfalls. Several can be spotted along the sides of roads while driving past. The park also includes many pull off areas, making it easy to get out of the car and explore these areas further. Many trailheads leading to waterfalls are also along the roadways. One popular trail that is easy for families to explore is that of Laurel Falls, which is on Hwy 73. The trail for this waterfall is paved and leads to a spectacular 80 foot waterfall. These are just a few of the many attractions in and around the park, even snow-sking. Learn about more options in Day Trips from Knoxville, Tennessee and find out about local campsites in Campgrounds in Cherokee, North Carolina.